May 15-21, 2016 is National EMS Week. It’s a chance to remember and appreciate the everyday heroes who are often the first responders in a medical emergency. "It’s a powerful and timely reminder of how committed you are to the work you do. You’ve chosen to answer the call of a career that demands passion, purpose and heart—from all those who wear the uniform, day in and day out." The website offers a downloadable planning guide with articles and suggestions on how agencies can recognize their teams. You can get a copy here. Code Green (codegreencampaign.org) lists resources on their website, including Safe Call Now, a 24/7 help line staffed by first responders, for first responders. NAEMT has compiled a resource library of articles, tips and other information about suicide prevention, mental health first aid and building emotional resiliency. Find the mental health resources at naemt.org. Under the EMS Health & Safety tab, choose “EMS Mental Health." Survivors Network Air Medical Community (survivorsnetwork-airmedical.org) is also compiling stories of survivors of close-calls and air medical crashes. The site has resources for enhancing resiliency, managing stress and dealing with grief and loss. So take a moment this week and let your community first responders know how much you appreciate them. 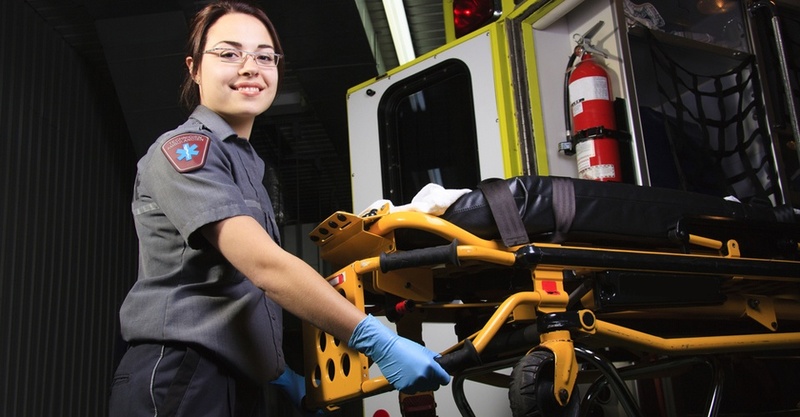 Are you an EMS worker who needs to fulfill your CE requirements? 24-7 EMS offers single-student online training classes are approved by CECBEMS for all levels of first responders. Each 24-7 EMS course provides 1.0 hour of continuing education. Learn more by clicking the button below.